Mini Crossrail tunnelling machine starts new sewer - Crossrail . For information about the Elizabeth line please visit the Transport for London website. 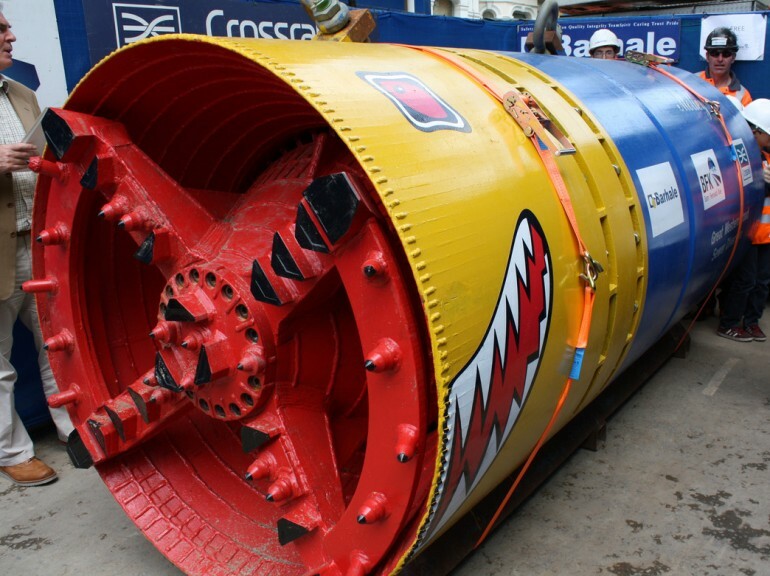 Crossrail has launched its smallest tunnelling machine Molley to build a new Thames Water sewer in west London. The 1.45 metres diameter tunnel boring machine (TBM) is just 3.3 metres long and a fraction of the size of Crossrail’s 7.1 metre diameter, 150 metre long machines that are building the new 26 miles of new train tunnels under London. TBM Molley will build a new 564 metre long tunnel to divert a section of the Great Western Road Sewer between Westbourne Park station and Basing Street, under Tavistock Road. The sewer needs to be redirected as Europe’s largest infrastructure project will be lowering the mainline tracks near Westbourne Park to accommodate its trains running into Paddington, so impacting on the existing sewer. Crossrail’s contractors BFK and Barhale opened a competition for primary school students at Canada Blanch School in west London to name the tunnelling machine. It is part of BFK’s Community Investment Programme which is seeking to leave a lasting legacy in the communities Crossrail constructors work within. Molley is too small to accommodate workers so is controlled remotely from the surface. Works are scheduled to be completed by the end of the year. Bam Ferrovial Kier (BFK) Joint Venture is constructing Crossrail’s western train tunnels between Royal Oak and Farringdon along with the station tunnels at Bond Street, Tottenham Court Road and Farringdon.